Gardener, journalist, MLA (1914-1915), MLA (1916-1920), MLA (1921-1922), MLA (1923). Born at Englefield, England on 20 January 1881, he apprenticed as a gardener and came to Winnipeg in 1903, where he trained as a draftsman and worked as an engraver for the Bemis Bag Company. Although a social reformer, Dixon was highly critical of socialism because collective ownership would mean tyranny over the individual, whose rights he always held to be paramount. He was active in the direct legislation movement and the political equality movement, and was a supporter of Henry George. 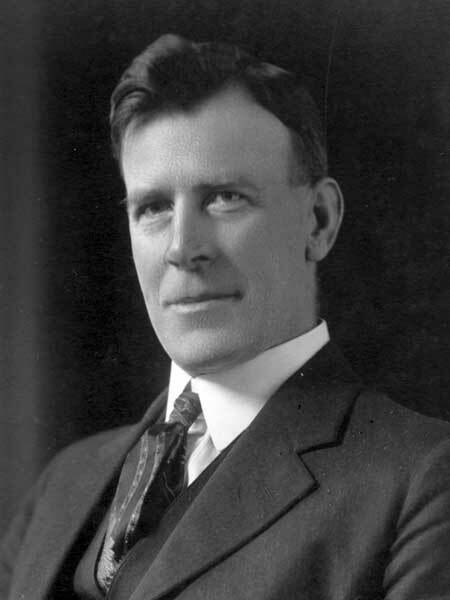 Defeated in the 1910 provincial general election, Dixon was elected in 1914 as a labour member for Winnipeg Centre, his platform including direct legislation (initiative, referendum, recall), home rule for Winnipeg, women’s suffrage, public ownership of public utilities, opposition to subsidies for private enterprise, and a referendum on temperance. In the legislature, Dixon forced an investigation into the corrupt relationship between the construction firm that was erecting the Manitoba legislative building and the government of Sir Rodmond Roblin, which led to Roblin’s resignation as premier. Dixon became the first president of the Dominion Labor Party. A committed pacifist, in 1917 he addressed a meeting in Market Square, urging listeners to burn their registration cards and resist conscription. During the Winnipeg General Strike he published the Western Star and Enlightener after the Strike Bulletin was suppressed. Tried for seditious libel early in 1920, Dixon defended himself and was found innocent on all charges. He was elected to the Manitoba legislature as a labour candidate in the 1920 general election and was chosen Independent Labor Party leader of the House. He was re-elected in 1922. On 15 October 1914, he married suffragist Winona M. Flett. They had two children. In 1923, he resigned from the Legislature because of ill health. He died of cancer at Winnipeg on 18 March 1931. He was buried in Brookside Cemetery by pallbearers L. St. George Stubbs, John Queen, S. J. Farmer, C. K. Newcombe, F. G. Tipping, and W. D. Price. There are papers at the Archives of Manitoba. “Single Tax, Socialism and the Independent Labor Party of Manitoba: The Political Ideas of F. J. Dixon and S. J. Farmer,” by Allen Mills, Labour/Le Travail 5 (spring 1980): 33-54. “Reform, War, and the Industrial Crisis in Manitoba: F. J. Dixon and the Framework of Consensus” by Duncan Norman Irvine, MA thesis, University of Manitoba, 1981. Profiles in Dissent: The Shaping of Radical Thought in the Canadian West by Harry and Mildren Gutkin (1997), pages 7-50. Frederick John Dixon by James Naylor, Dictionary of Canadian Biography. “Citizens pay final homage to F. J. Dixon,” Manitoba Free Press, 23 March 1931, page 4.